Indeed God is good ! At the first service of FCBC Sendai , we had only one word to describe and express our feeling ” Thankfulness”. We thank God for all the good people who came to help and support . We are thankful to have 28 of them there praising God with us. His sweet presence were experienced as we celebrated and lift up the name of Jesus! We are thankful for our church family in Singapore who are supporting us in finance and in prayers! Above all, we are thankful to God for making all these possible ! Indeed FCBC Sendai was a fulfillment of God’s prophecy to Caleb that dated back to 1998 and when Senior Pastor Lawrence Khong also felt the need to pray and sent short term mission teams to Japan. 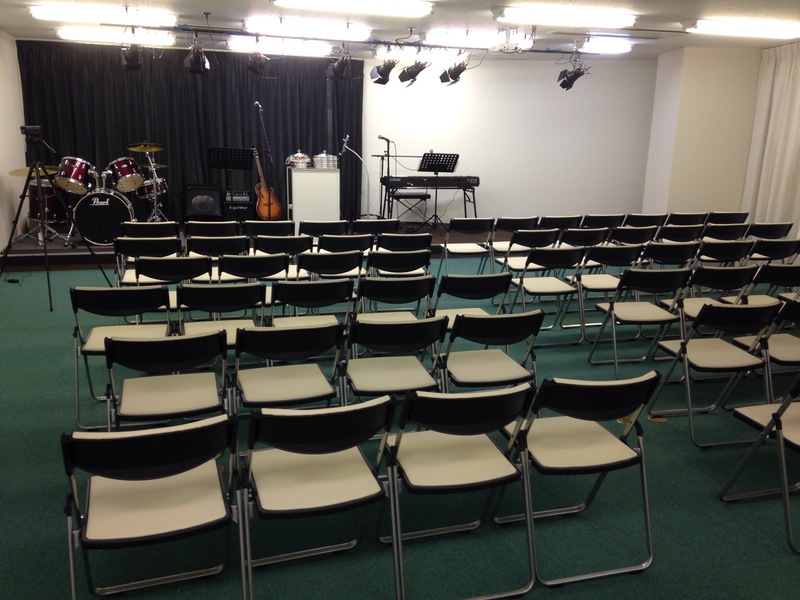 Now that we have a church premise , we hope that we will be able to reach out to even more marketplace people in Sendai with the love of God. Currently we are running 2 English Conversations Classes for adults ( aged 20s and 30s) and seniors (age 50 to 84). We have to stop our children’s English programme for the neighborhood children in our apartment because of the building management’s regulation. 1. We conducted an English Camp for a private high school to prepare a group of 15 students aged between 17 -19 years for their field trip to England. This school is known for producing sportsman and instilling high standard of conduct and mannerism among students . The overseas field trip was an annual event for selected students until March 2011 of the Great Eastern Earthquake and Tsunami . This December, a group of them will have the opportunity to go . We are happy to help them in their English Language and to build confidence in speaking English. Not only were we given warm hospitality by the principal, we were also featured in the local Kessenuma Newspaper. 2. We were able to go to serve 3 temporary housing clusters and also a elderly nursing home. We cooked Singapore dishes like Braised Dark Sauce Pork, Nonya Curry Chicken and our famous Kaya Toast . It was great to see the happy faces on the people as they enjoyed the 2 hours of programme which includes songs , games and some sharing . Many of them do not really know much about Singapore , but they do know that a group of people ( 6 to 8 of us , Japanese and Singaporeans ) serve them and love them, not forgetting that there are many who are praying for them . One of the songs that we would sing is a song entitled ” Kimiwa aisareru” translated to mean ” Borned to be loved” . It talks about that each of us is borned into this world to receive love and that this love of God is found in the love for each other. At one of the the temporary housing clusters, when asked if they had ever felt loved by someone, one of them who is in her 70s and had lost every of her family in the Tsumami said that she felt loved by the group that gathered together each time we met. We were brought to tears to see the power of love that sustains that woman even in her tragedy. We thank God for His love that compels us and propels us to Serve And Love Them…. ( SALT … Jesus taught us to be the Salt of the earth and the light of the world… ) we pray that we will light up their world too!